Four divisional commands of the Ghana Police Service have benefited from internet solutions provided by Busy Internet as part of the company's Corporate Social Responsibility (CSR). This internet solution support will cover an initial period of one year. The beneficiary divisions include Madina, Adenta, Kaneshie, and Amasaman. 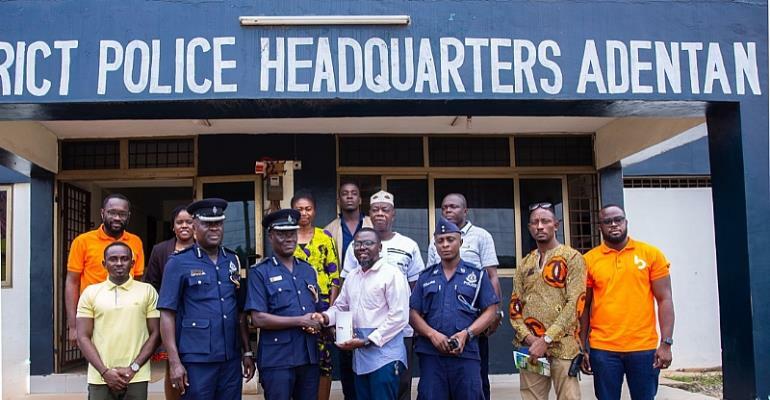 This was disclosed last week when the District Police Headquarters of Adenta hosted a delegation from Busy Internet. The Busy Internet team used the opportunity to present a Busy 4G router to the Adenta police. 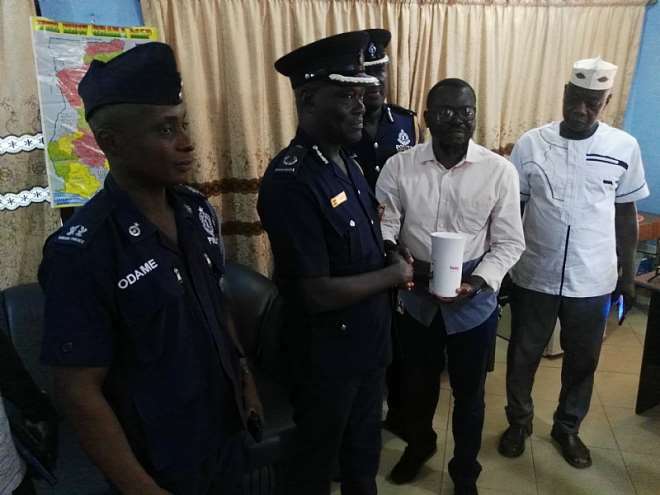 Receiving the team, ACP Frank Faakye Kumi, the Kaneshie Divisional Police Commander, who was in the company of the Adenta Divisional Police Commander, was full of gratitude and he further acknowledged the level of internet speed of the Busy 4G network. “The speed and everything is very good and we really appreciate this gesture by Busy Internet,” ACP Frank Faakye Kumi said. 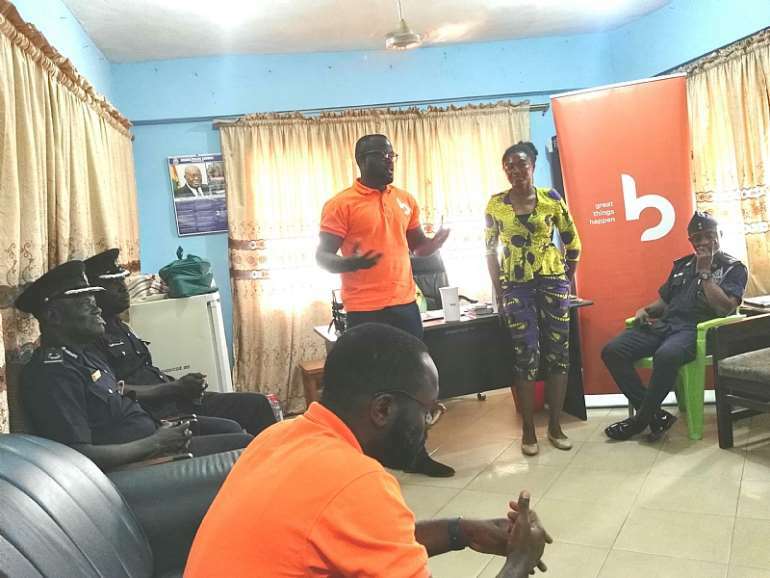 The Adenta Police revealed that before Busy came to their aid, they were using their own monies to buy data to access information on the internet hence the effort by Busy has been timely and greatly supportive. BusyInternet was founded in Ghana in 2001, with a unique mission to provide quality Internet access services to Ghanaians. BusyInternet is a collaboration of like-minded Ghanaian and International Technology Entrepreneurs. According to Busy Internet's Head of Marketing, Thomas R. Brien-Mensah has installed internet connectivity at the aforementioned divisions to help facilitate the police work in combating crime. "Busy Internet also has plans to extend a similar gesture to the police divisional commands within the Greater Accra and Tema regions respectively," he revealed. From launching as the biggest internet cafe in the sub-region, it has over time evolved to provide enterprise solutions to businesses and then finally launching its 4G mobile broadband services in January 2016. "Since its inception, Busy has focused on empowering its customers to be their greatest self and Ghanaian businesses to grow," he said.